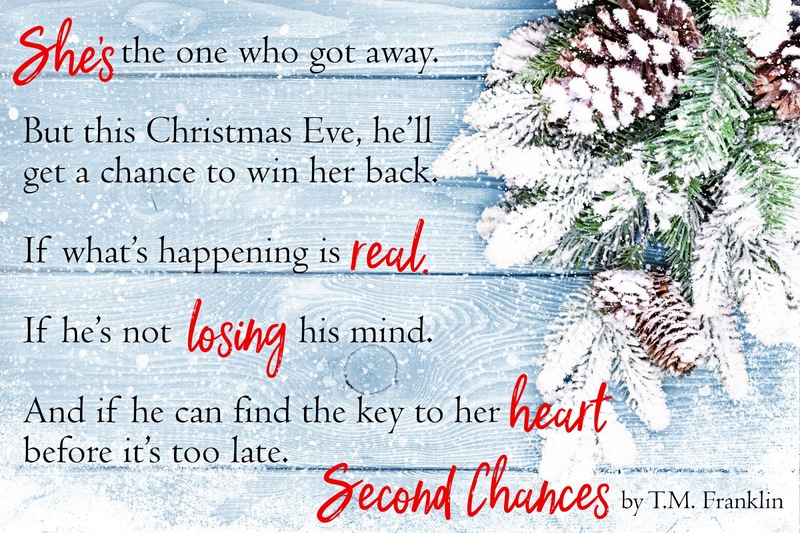 Sometimes second chances aren’t quite what you expect. 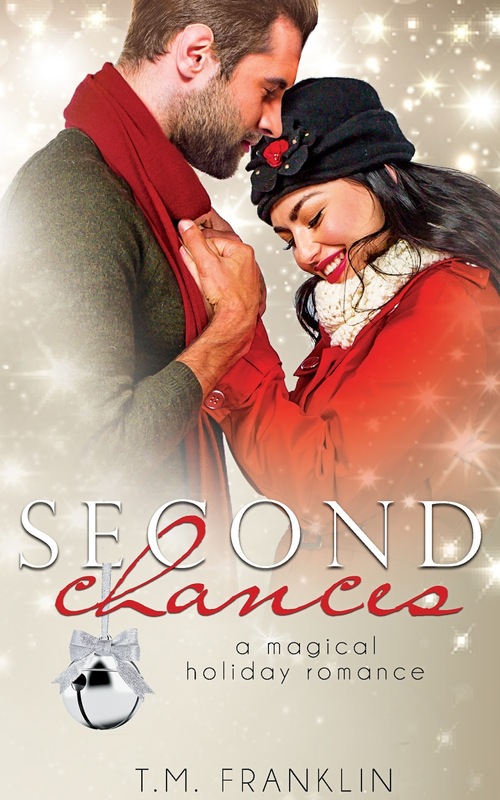 A not-so-chance encounter with a mysterious stranger sends Carter on a mystical journey to fix the mistakes of the past. But he quickly finds out making things right isn’t as simple as making a different choice. And if he doesn’t find the key to Kenzie’s heart, he could lose her all over again. 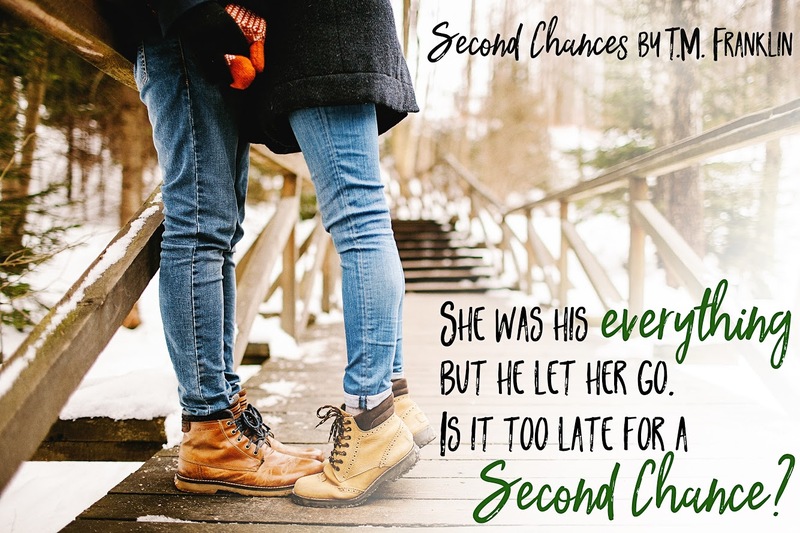 Second Chances is a story about a man who gets a peek at what his life could be, if only he’d walked a different path. 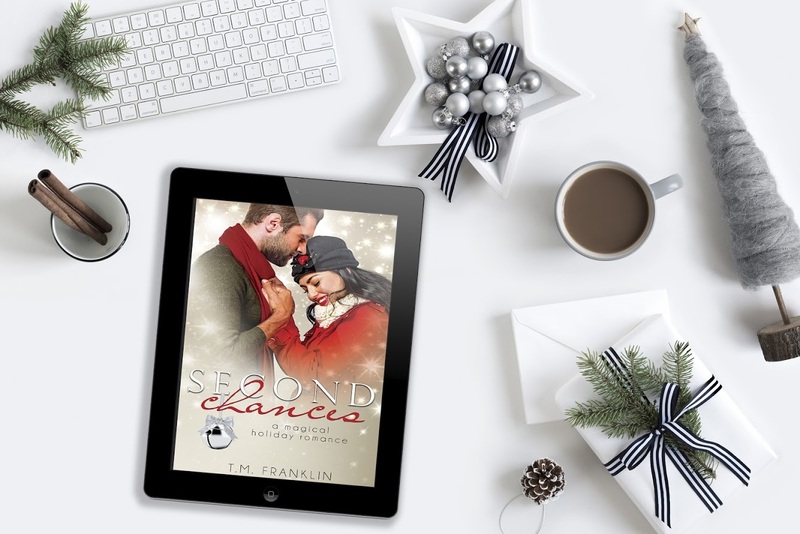 In the tradition of It’s a Wonderful Life and A Christmas Carol, it’s a heartwarming romance sprinkled with a touch of magic that’s sure to become a holiday favorite. T.M. 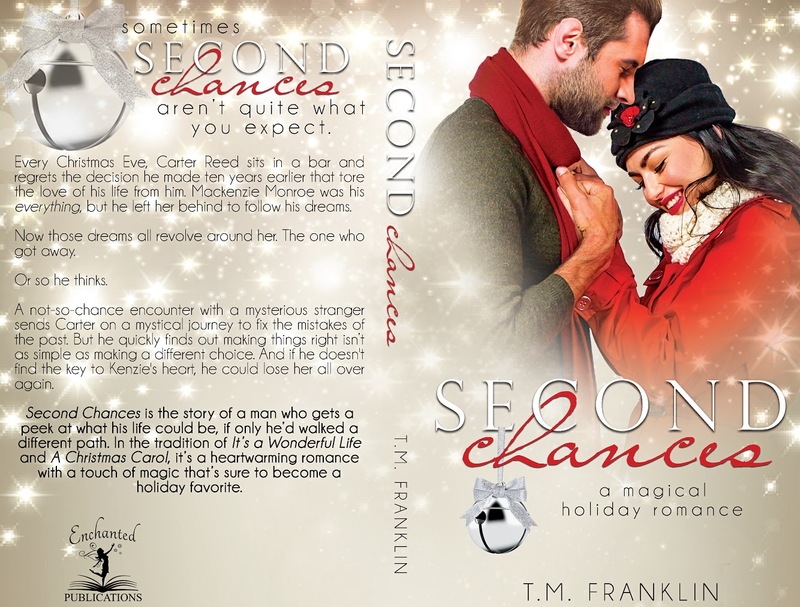 Franklin writes stories of adventure, romance, & a little magic. A former TV news producer, she decided making stuff up was more fun than reporting the facts. Her first published novel, MORE, was born during National Novel Writing month, a challenge to write a novel in thirty days. 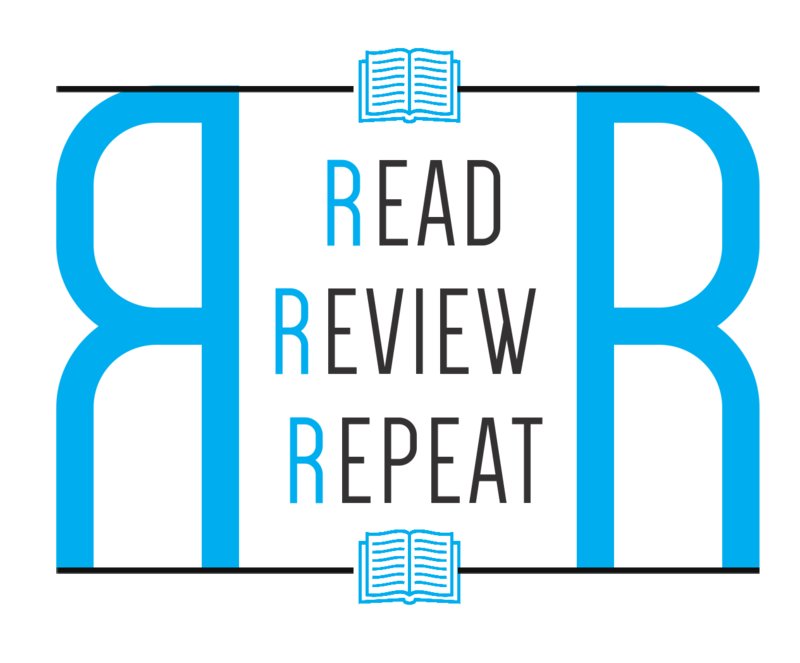 MORE was well-received, being selected as a finalist in the 2013 Kindle Book Review Best Indie Book Awards, as well as winning the Suspense/Thriller division of the Blogger Book Fair Reader’s Choice Awards. She’s since written six additional novels and several best-selling short stories … and there’s always more on the way.